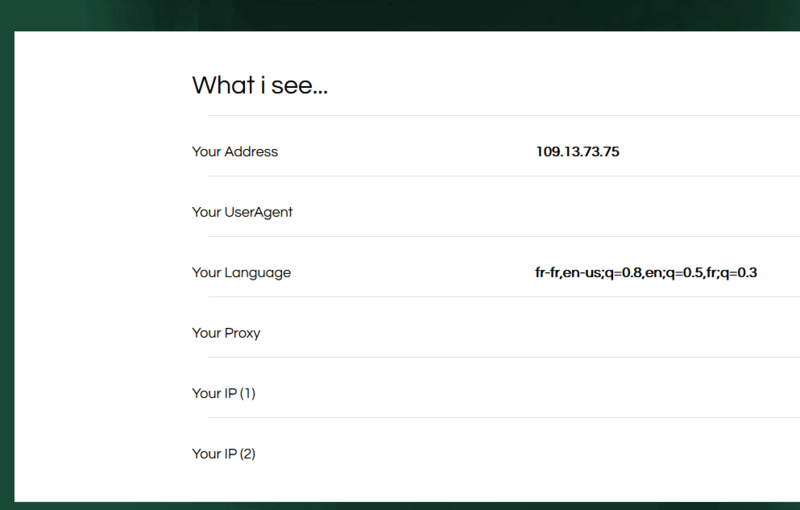 When surfing trough Artica Proxy, by default the proxy use/add standard HTTP headers informations when connecting trough web servers. 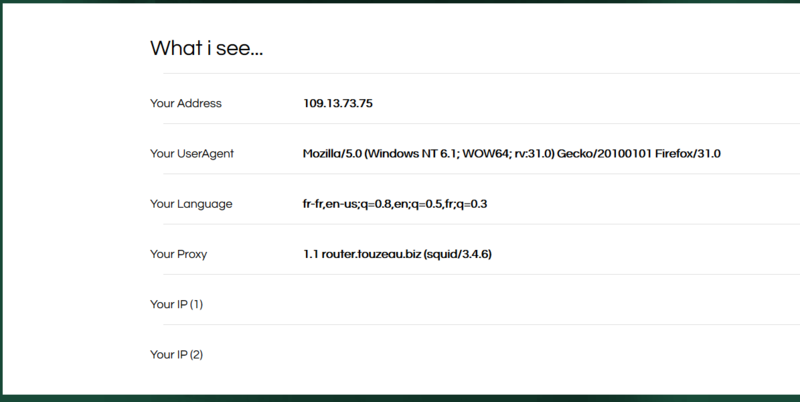 You can use this Artica Web page or lagado.com to see what informations a standard Web server can retrieve from your site. 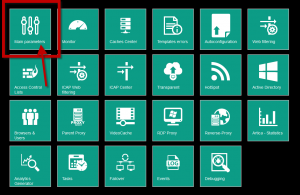 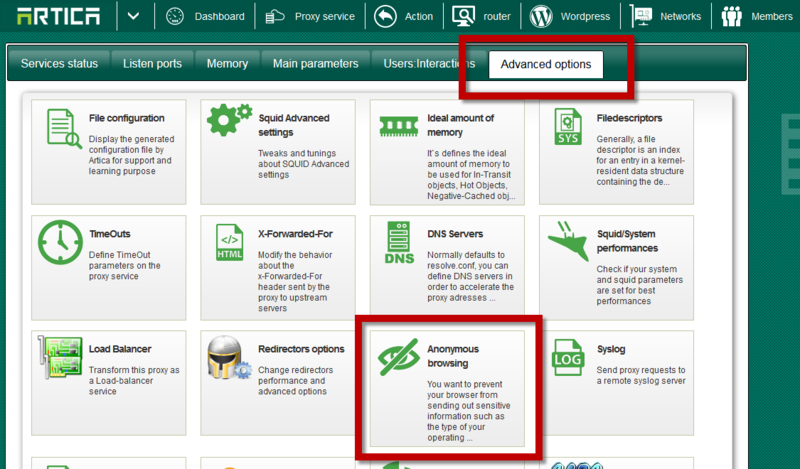 On the proxy parameters, choose Advanced options and click Anonymous Browsing item. 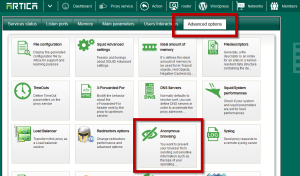 The table shows you what header can be allowed to be send to the web server or deny. 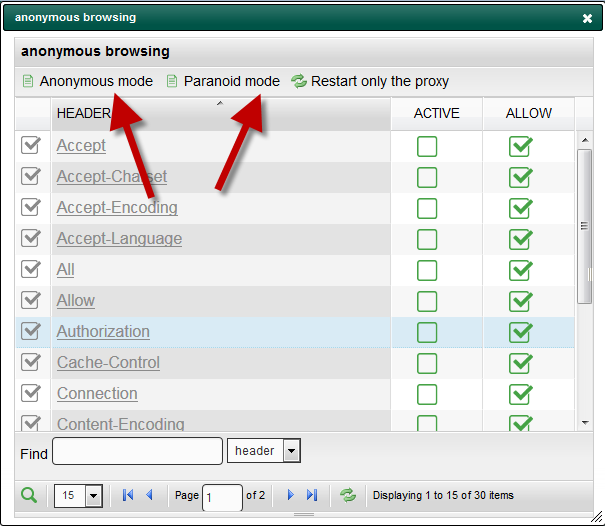 The paranoid mode force proxy to not send any header to web servers. 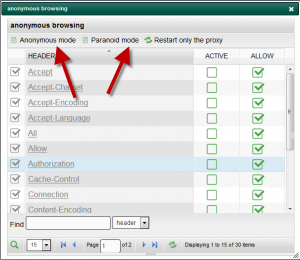 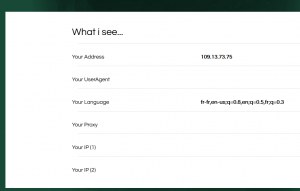 The Anonymous mode remove any information according the Browser. 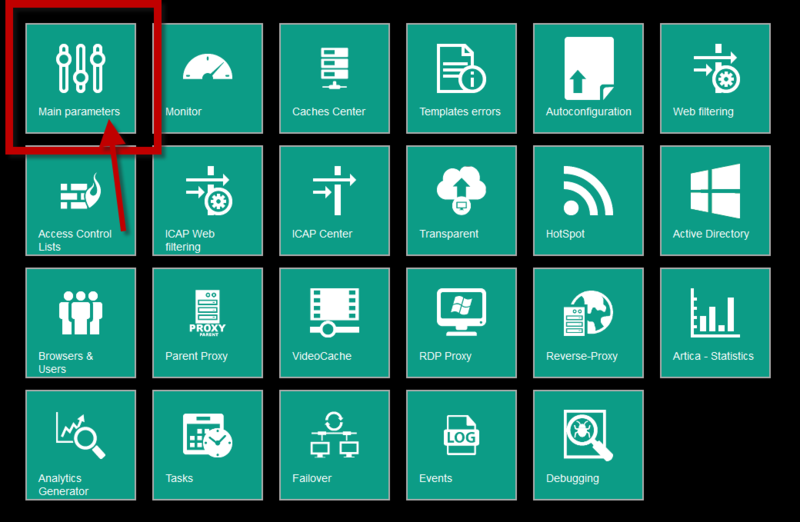 Click on restart only the proxy in order to apply your parameters.